Clunky title aside MAN WITH VAN is really good. It’s good enough that if you’re in the area of Long Beach Long Island on Wednesday you should make a b-line to the Long Beach International FiIm Festival to see it. Keir is a loving father splitting custody of his daughter with his ex-wife. He is behind in his payments to his wife because his job hasn’t paid him in a couple of weeks. However before any money can come his way the worksite he’s been doing the electrical work on has shut down. With the need for fast cash he is talked into doing an arson job. And another… However when someone dies Keir’s life is in danger and he has to fight his way to get his life back. A stellar cast of character actors devour the screen in Man With Van. 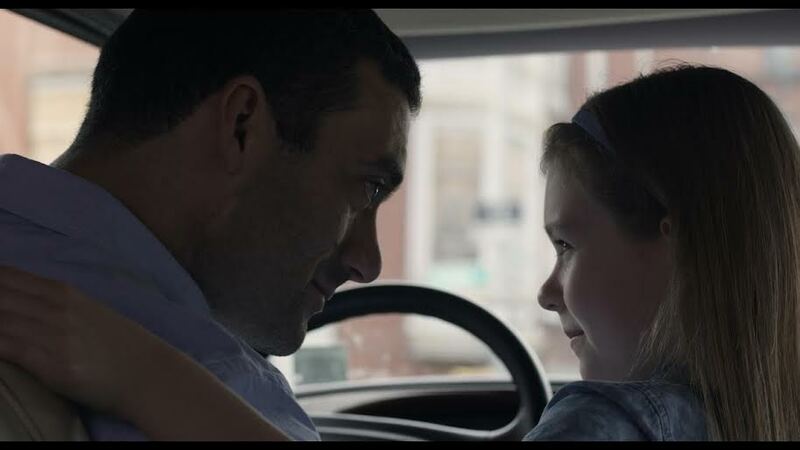 Morgan Spector as Kier gives a moving heart felt performance. As the man at the center of it all he shines in one of the best written decent guy who gets in over his head roles I’ve ever seen. Keir is a guy you generally like, from his early in the game warning of a coworker of the danger of electricity or his scenes with the daughter he adores. Spector makes us love his character to the point where when its all said and done our heart breaks when we see how the journey has changed him. Nick Damici and Mike Starr are also gang busters as Keir’s friend and his boss from the wrong side of the law respectively. While they are both paying variations of other roles they’ve tackled they are adept enough to make us buy them. DirectorEd Blythe and James Windeler‘s script also needs to be singled out since in addition to giving us a character we really care about, it also keeps us on the edge of our seat as we watch the fall of a good man into darkness and we are moved. If there is any problem with the film it’s a small one. There are a few moments where the film fumbles the tone of the proceedings. The lightness of some of the scenes with Keir and his family don’t quite mesh with some of the darker crime scenes. I’m not sure why- though I suspect that perhaps it maybe the score, which while fine unto itself but doesn’t always work with the images as can be seen at the final fade out when a serious moment butts right into a light score as the credits roll. It’s not fatal but it keeps the film from being as oppressive as it could be. The hiccup aside I really like the film. It’s a wonderfully written crime thriller about a man who does the wrong thing for the right reason and has to pay. For more information an tickets go here.